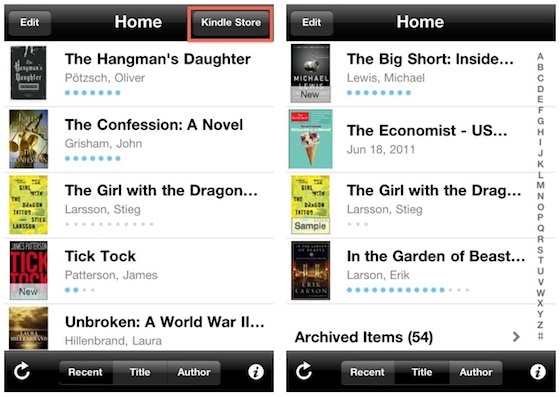 Amazon, owner of the popular Kindle eReaders and iPhone eReader app, were forced by Apple to remove its in-app store button to comply with Apple’s App Store rules. The rules, first enforced in February, state that if an app publishes content at a price or monthly subscription, Apple gets a 30% share of the profits. When an app leads the customer to its own store not affiliated with Apple, they get 100% of the profits. Apple feels that because they bring the user to the app, they should get some of the profits the company makes. Other companies have had to remove their in-app stores, like Google Books, which was removed from the app store, now relaunched without its in-app store button. Rhapsody, an online music store, have expressed their feelings towards the change in Apple’s rules, stating that Apple’s 30% take will result in the end product more expensive to the user and result in “zero profit” to the publishers. To keep the in-app store in an app, the user has already downloaded, the user must not update their app. If the user has an iPhone or iPad with the Kindle app, they can still visit and buy from the book store by going into Safari and manually going to the Amazon Book Store website. While it may seem as a con that Apple changed the App Store rules to take 30% of the profits from the company, the pro is the subscriptions bought can be found in the Newsstand folder on the home screen of the awaited iOS 5, which is set to be released in the fall.